Basically I played 50 battles in each, recorded their stats and did a comparative analysis to see which one works best for me. And before you bring it up, yes I know, various stats websites do track stuff already, but I tracked some things that those sites don't track, such as the tier of the battle, hit percentages of main vs. secondary batteries, and so on. Hopefully some may find it useful, or at least interesting. A very detailed analysis with evidently a lot of effort. Tier 8 bbs are my favorites in this game, IMO it's the only tier where Tech tree ships are overall flat out better than their premium counterparts, and all of those tech tree ships have little trouble when being uptiered, significantly less than cruisers or destroyers. Try to use more AP in the Monarch, it's HE DPM and fires set per minute is actually lower than its predecessor, KGV. The superior heal, excellent armor belt thickness and the complete abscence of a citadel will allow you to survive under fire, while the great concealment will allow you to take shots at closer ranges. Like the Queen Elizabeth, Monarch's HE is more of a side arm. Judging from your playstyle, you will love the Amagi a lot. She's overall a kii but better in every way that would matter to you: Turtleback and better sigma for her main batteries. IIRC, the only tech tree RN BBs that have the zombie heal/on-board shipyard are Lion and Conqueror. @glacier_de Frankly one of the very best, detailed, evidence-based videos I have ever seen on WOWS. Nice job! I just subscribed to your channel. It helps a little in that I was hoping for the result you obtained on "best Tier 8 BB" (admittedly...for you). I too feel the same, and because I don't have your patience, had little evidence to back up my claims. I don't (or try not to) play Random, so it was good seeing my experiences in Co op be reflected in the other mode. I assure you that @AdmiralThunder will be happy to see this video too. Anyway, well done, and to the others on this board, I'd recommend you watch this. It's outstanding. PS Your data, while low at 50 instances, is indeed statistically relevant, as I think anything more that 38 instances (with control factors) is relevant. Nice job! I just subscribed to your channel. Interesting information presented in a clear, cogent and articulate manner. Very well done. Thanks. Very nicely done @glacier_de . Plus one and I subbed to your channel. 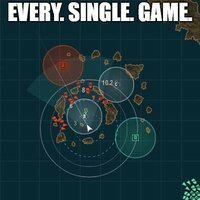 I often see this statement, but I cannot seem to be as effective with the NC as I am with the Alabama. I usually find YouTube WOWS number crunching boring as all hell, and it switches me off the vid about halfway through. You kept me watching to the end with your narration style and your meaningful and properly qualified analysis of your results. This is probably because you were constantly relating it back to your own combat experience rather than it being a pure data-mining exercise. I also watched the Monarch vid - this is the T8 battleship I'm most likely to get first. Subbed. It has something to do with individual playstyeles. NC is in many ways identical, even superior than the Alabama, but with one grave exception: NC have a more vulnerable hull shape. The cheek area beneath the AB turret is angled in an unfavorable shape, so that it will show a flat profile to the enemies if you try to keep all guns firing at closer ranges. If you like a more roaming actively maneuvering playstyle, Alabama, together with its slightly more favorable armor scheme, will suit you better. But, if you are more familier with the slightly more static and concealment oriented gameplay, NC will make you feel at home. I thought my narration style was boring as hell! Enjoyment is a complicated function of style and content (and viewer interest in that content). In your case, you covered one ship I am very close to owning and another I intend to own one day. But your diction was clear and without unnecessary padding or derailing, which is a BIG plus compared to a lot of content (not necessarily WOWS-related) on YouTube. That is logical, as I do prefer the moving and open water engagements. Thanks for explaining the nuts and bolts! Amagi is a good ride. She has always been good and reliable in this game. From when the game launched in August 2015 and into today in September 2018, she has always been good to go. No other BB in Tier VIII can say that, as even North Carolina needed numerous buffs over the years to help hero out (her Sigma got buffed to 2.0 being one such change). The only knock Amagi has is her AA. It's pretty bad. I remember playing Tier VI CVs and nailing Amagi real good because IJN AA almost always is pure garbage. And the CV Rework is coming, so who knows how popular CVs will be. Any CV I played, Amagi was always high in my preferred hit list. That's because you've gotten used to Alabama's ability to maneuver South Dakota-class maneuver in ways North Carolina and the other Tier VIII BBs wish they could, even in confined waters. But NC has more consistent guns than Alabama / Massachusetts, and better 11.8km concealment in Stealth Build. The only problame with Amagi is concealment. Her concealment maxes out at 13.5km, and when she's top tier that's perfectly fine. Bismarck maxes out at 12.4km(yes, I am advising you to take concealment on the Bismarck), and NC maxes out at 11.8. I don't know about Monarch, but, British national trait should give her a good concealment too. Let's just say a Yamato and an Amagi spotting each other at the same time isn't very healthy for the Amagi. At all.